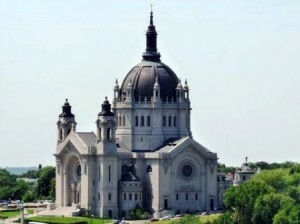 Linda Burton posting from Saint Paul, Minnesota – “The Bible refers to Saint Paul often, but it never mentions Minneapolis.” So goes the good-natured banter between the Twin Cities of Minnesota. I signed up for a Highlights Tour of both; from a Grayline air-conditioned bus I’d listen and try to learn. Minnesota’s oldest tourist attraction and oldest park were promised features of the tour; legends and landmarks and the State Capitol too. But first I had to find the bus, a fear-instilling feat. 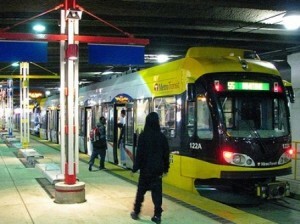 Because boarding took place at the Transit Center at the Mall of America. 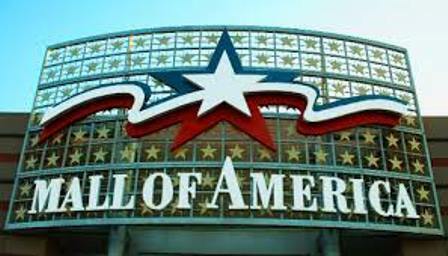 And the Mall of America, you see, has 12,550 parking spaces, stacked in cavernous concrete layers on either side of the giant complex. 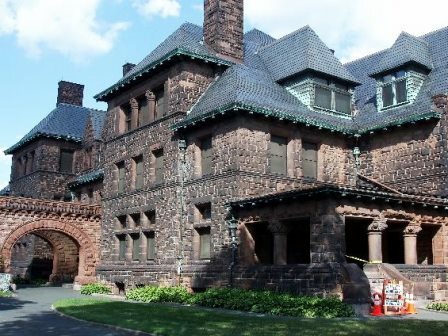 Wrap your head around these numbers – 7 Yankee Stadiums could fit inside the Mall, or 32 Boeing 747’s; 285 Statues of Liberty could lie down for a nap inside the Mall; and if you pulled the President’s heads off Mt Rushmore and hauled them to Minnesota, you could fit one into each of the four courts that make up the Mall. They say if you spent 10 minutes in each store, it would take you 86 hours to complete your visit; there are more than 500 stores and 4.3 miles of storefronts; employees number 11,000. Even though “no sales tax on clothing” is a big part of the draw, shopping isn’t the only thing people come for. 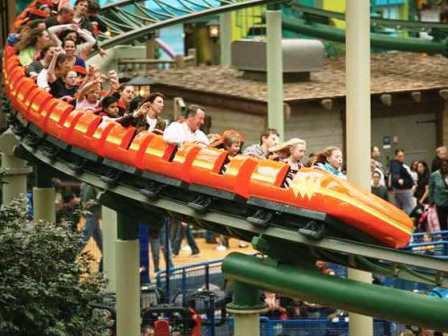 There are 25 rides and attractions in Nickelodeon Universe, and it’s a huge events center, staging everything from celebrity shows to weddings. Out of the 40 million annual visitors, 4 out of 10 are tourists; today I was one of them. I found the Transit Center by asking a passerby; “Six posts that way,” he said; I parked in Maine 2 East and ventured in. The Transit Center was one level down; a black hole sucking in trains and buses, a focal point of transportation for the area. Loudspeakers warned “Stay behind the yellow line” until the trains came to a complete stop. Signs warned “Fire doors will drop automatically.” A pod of people with “that tourist look” huddled together in the ticketing room, cell phones busy. 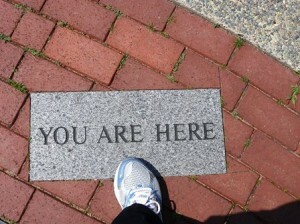 “Are we in the right place?” was the general fret. I found a bench, vowing not to panic unless no tour bus arrived by 10:15, our boarding time. Then suddenly, Ruth appeared. Her calm voice soothed our nerves; but still we stuck to her like chewing gum as she led us to our purple bus. I settled into a front-row seat, near Driver Jeff, and Ruth, our Guide; part of the crowd of thirty-four. 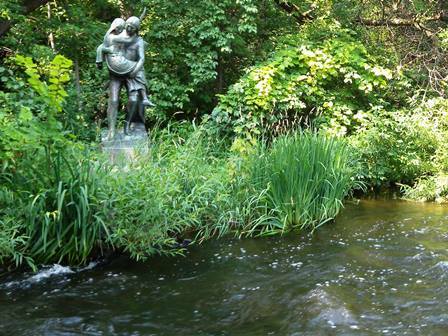 First Stop: Minnehaha Park, Minnesota’s oldest tourist attraction. The 193-acre Park overlooks the Mississippi River, but we stopped near the falls; a 53-foot drop on Minnehaha Creek; it was flowing strong today, after recent rains. Just across the Creek from our vantage point, nestled in the trees, was the life-size bronze statue of Hiawatha and Minnehaha, characters from the poem “Song of Hiawatha” by Henry Wadsworth Longfellow, bearing this inscription: Over wide and rushing waters in his arms he bore the maiden. 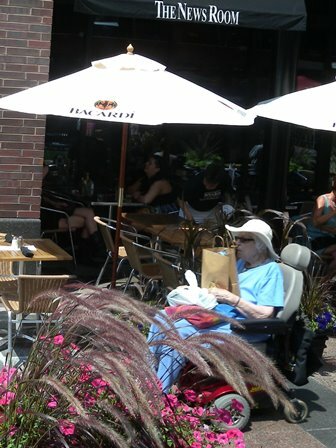 “Longfellow never came to Minnesota,” Ruth explained, “he wrote from stories and legends he’d heard. But his poem was so popular at one time it was outsold only by the Bible.” Another sculpture in the Park is that of Little Crow, a chief who was killed in the year following the 1862 Dakota conflict; the area is considered sacred by Native Americans. Minnehaha Falls and the surrounding land became one of the first state parks in the country when it was purchased by the state in 1889; its native trees, limestone bluffs, and river overlooks are part of the Minneapolis city system today. Ruth advised us to come back and walk the trails that follow the creek to the river; “bring a picnic,” she said, “or ride the four-person pedal bikes around the grounds. There are concerts here regularly too.” Back on the bus, I made a note of that. 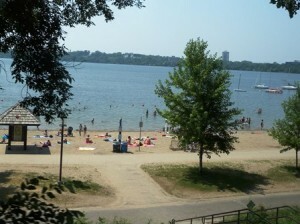 Next Stop: Two Rivers Overlook in Saint Paul. We crossed the Mississippi River and made a right, passing the now-closed Ford Plant; the street was edged with trees and soon we segued into residential; the kind of homes you’d expect on a beautiful river bluff. Jeff eased the bus to a stop and we headed for the Overlook; across the way was Fort Snelling, now a state park; down below the Minnesota River merged into the Mississippi; you could see the path of it since the first was slightly muddier than the last. “Recent rains,” Ruth emphasized. The Dakota called the area “Ha-Ha-Mdo-Te” which translates to “junction of two rivers;” they considered it the center of the universe. Zebulon Pike figures into the history here: in 1805 he met with the natives on the island between the two rivers and negotiated the purchase of land along the blufftops. “The treaty was never honored,” Ruth told us. Fort Snelling was built between 1820 and 1825; after the Dakota War of 1862, over 1,600 Dakota men, women and children were forcibly confined in a camp before being expelled to Nebraska; over 300 died during the winter due to malnutrition, disease, and exposure. Today Fort Snelling is a good place to learn about military history, fur-trade history, slavery in Minnesota, and that US-Dakota war of 1862. The Fort, operated by the Minnesota Historical Society, is a National Historic Landmark; the Park boasts a floodplain forest, marshes, backwater lakes, wet meadows, and abundant wildlife; it is crisscrossed with trails for cross-country skiing, hiking, and biking. 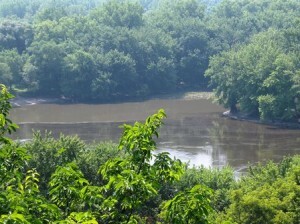 Both units are part of the Mississippi National River and Recreation Area, a National Park Service site. Those Park trails connect to the Minnesota Valley National Wildlife Refuge, Minnehaha Park, and regional trail systems like the Grand Rounds Scenic Byway and the Big Rivers Regional Trail. The Overlook was paved to show the curves of the rivers and Pike Island; I took a picture of my foot by the “You Are Here” marker. Back to the bus for a ride through downtown Saint Paul, with Jeff driving as slowly as traffic would allow, Ruth talking as fast as she could utter the words, and me snapping pictures right and left, all through the glare of a tour-bus window on a sunny day. I wish I could tell it all; the historic buildings of stately old brick; the new skyrises in glass; sculptures in the parks, and the cutest thing of all, the statues of the Peanuts gang. Charles Schulz (1922-2000) was born in Minneapolis and grew up in Saint Paul; after his death in February of 2000, the city paid tribute to the man by placing 101 5-foot statues of Snoopy throughout the city. 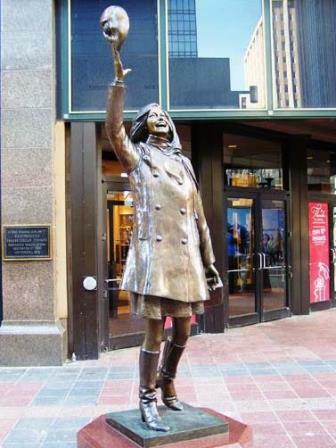 Each summer for the next four years, statues of a different Peanuts character were placed on the sidewalks of Saint Paul; Charlie Brown Around Town, Looking For Lucy, Linus Blankets Saint Paul, and finally, Snoopy lying atop his doghouse. 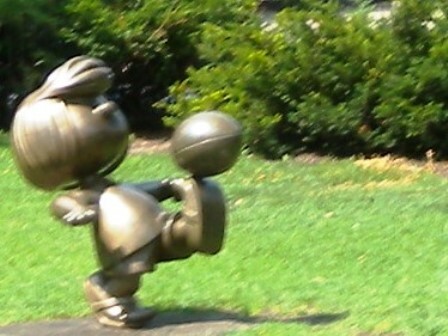 The statues were auctioned off at the end of each summer and proceeds were used for artists’ scholarships, and for permanent bronze statues of Peanuts characters; the bronze statues can be found in Landmark Plaza and Rice Park. “There’s Lucy kicking the football!” Ruth pointed out as we passed one display. Next Stop: The State Capitol. I jumped out in a flash and asked my new tour buddies Bettyann and Lisa to get my picture on the steps; I got theirs too, cousins from Connecticut and Tennessee. “We wanted to visit,” they explained, “so we each wrote down three places we’d like to go, and compared. Mall of America was the match!” A week together in a place neither had ever been; they were having a blast. 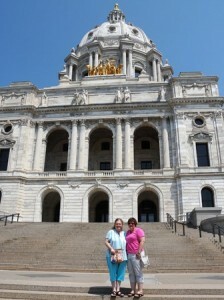 The Capitol was a come-back spot for me; I noted parking and entry doors, preparing for a day-long visit on my own. 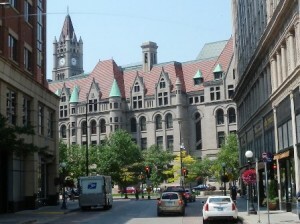 It’s another Cass Gilbert capitol; completed in 1905; its stunning white Georgia marble and St Cloud granite are show-off pretty; tents were set up in the grassy park across the street and a crowd was gathering. “Somebody is having an event today,” Ruth frowned; the blocked street caused a change in route. 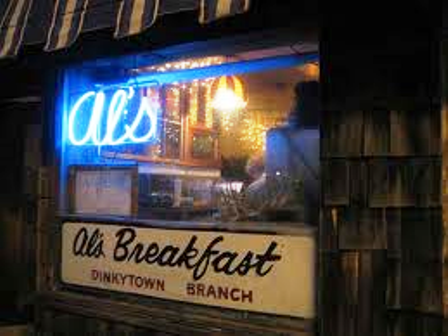 The University of Minnesota campus next; or parts of it; Jeff drove the bus through Dinkytown while Ruth explained the small campus neighborhood; pointing out the building where Bob Dylan lived, and Al’s Diner, the narrowest restaurant in the city of Minneapolis. Ten feet wide with 14 stools, it has seated generations of students, along with notables like Garrison Keillor, who considers it an icon of the state. We passed one of the world’s biggest McDonald’s; a two-story student haven. 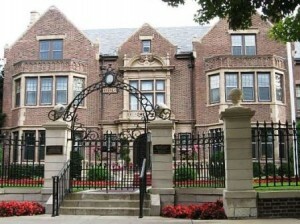 The U of M campus occupies both east and west banks of the Mississippi River; with an enrollment of over 51,000, it has the sixth-largest main campus student body in the United States. 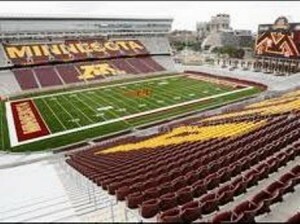 We drove past TCF Bank Stadium, the home of the Minnesota Golden Gophers football team; it seats 50,805 but is designed for expansion to 80,000. It is the first of three sports stadiums being developed for major tenants of the Hubert H Humphrey Metrodome; the other two tenants are the Minnesota Twins and the Minnesota Vikings. We’re not done yet! “We are now crossing over the Mississippi River,” Ruth announced. “This is the bridge that collapsed in 2007 killing 13 people.” It was an 8-lane steel-truss bridge carrying I-35 W rush-hour traffic; a design flaw was determined to be the cause of the collapse. The new bridge opened in 2008; traffic was flowing smoothly across the wide concrete structure today. The Guthrie Theatre was our next stop; the modern blue structure has three theaters and a 178-foot cantilevered “Endless Bridge” which offers great views of the river; there was no matinee today so we were able to wander around; most of us headed directly to the bridge. 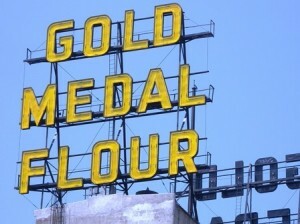 Gold Medal Park was to the right; across the river I saw a large Pillsbury sign. “Flour mills were established here because of the grain supplies, and the hydro power,” Ruth explained. The rest of the tour sits like a collage in my mind. 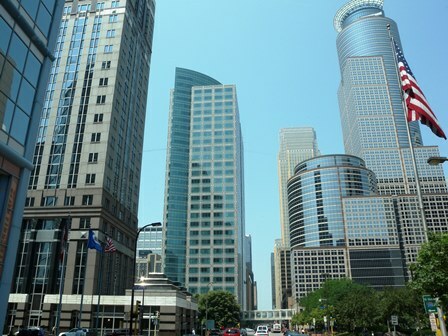 As Jeff drove back and forth through Minneapolis city streets; I lost all sense of direction, simply immersed in the color, sights and sounds. Food trucks on the street to the left, downtown lunchers swarming around them; the Farmer’s Market on Nicollet; umbrella stands stretching for blocks and blocks; fresh produce, and who knows what else. The summer crowds were thick; I spied a happy lady in her scooter, shopping bag in lap; flower baskets hung from every post. Ruth pointed out the Mary Tyler Moore statue on Macy’s corner, hat flung into the air; the Target world headquarters a few blocks down. “We’re Target shoppers in Minnesota,” said Ruth, “does everyone have their Red Card?” There are 95 miles of skyways in Minneapolis; so when the Minnesota winter hits, downtown can be traversed regardless of the cold; Saint Paul has extensive skyways too. City planners have made it easy to get around; bikeways are plentiful with wide lanes clearly marked; Nice Ride bike stations are subscription based; $55 yearly for students; take a bike, return it to any station when you’re done. There was a procedure to be followed to enter the Transit Center again; guards at the entry gate came onto the bus and swiped the steering wheel for evil signs (gunpowder? the makings of a bomb? ); after a few minutes wait we were allowed in; apparently Jeff had done no evil today. Thank you for the good driving, Jeff. Thank you for the entertaining tour, Ruth. Goodbye Bettyann and Lisa. All that was left was to find Maine 2 East and the Scion, somewhere in one of those 12,550 parking spaces.